The Asheville, North Carolina, area was hit with some hard news earlier this month when the Folk Art Center and the Pisgah Inn and Restaurant both closed as a result of the federal government shutdown. Both are located along the Blue Ridge Parkway, and are popular places for our guests and other visitors to see, especially during the beautiful fall season. The Pisgah Inn’s restaurant serves a fantastic lunch and dinner and is the perfect stop when traveling south on the Parkway to see fall foliage and hike at Mt. 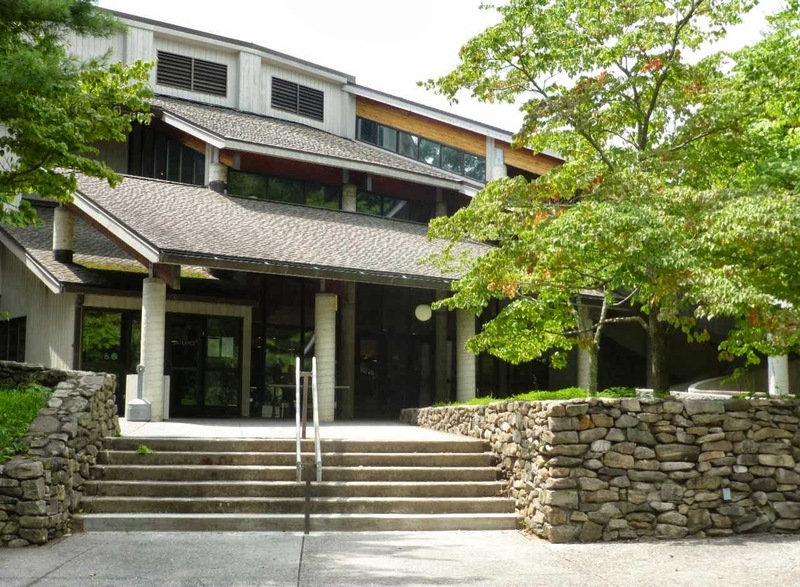 Pisgah and Graveyard Fields, while the Folk Art Center is a great destination for viewing regional art and craftwork while traveling the Parkway north toward the fall colors and hiking trails around Craggy Gardens and Mt. Mitchell State Park. Even though the Blue Ridge Parkway is part of the National Park System, the roadway remained open, along with state parks and privately-owned businesses off the Parkway, but the Folk Art Center and the Pisgah Inn and Restaurant were ordered closed. This week brought some wonderful news: both the Folk Art Center and the Pisgah Inn and Restaurant have reopened! This entry was posted in Uncategorized and tagged art, Asheville, food and drink by Inn on Mill Creek. Bookmark the permalink.